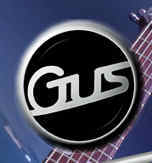 "If you want to breathe a little individuality into your playing, seek out a Gus." "The feel of the fingerboard is so lush, it excites me every time I play it!" Dave has been playing guitar now for 33 years. He started Mr. So & So in 1989 and went on to release three successful albums with the band before, as he says "imploding just as the big door was opening for us". The band has recently re-formed though and released a fourth album entitled ‘Sugarstealer’ (January 2010) which has the G1 "all over it". Aside from Mr. 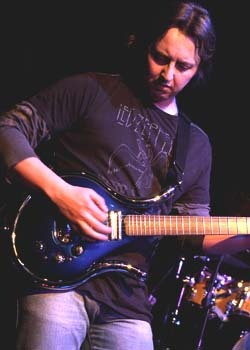 So & So, he also plays in the Wishing Tree live band (a side project of Steve Rothery from Marillion). "My G1 MIDI has been amazing for me over the last seven years, the pickups sound stunning (clean & dirty) and the tracking from the RMC piezo is first rate. The build quality of this guitar means that it’s never let me down. The switch configuration is really logical and easy to use and the feel of the fingerboard is so lush, it excites me every time I play it! "